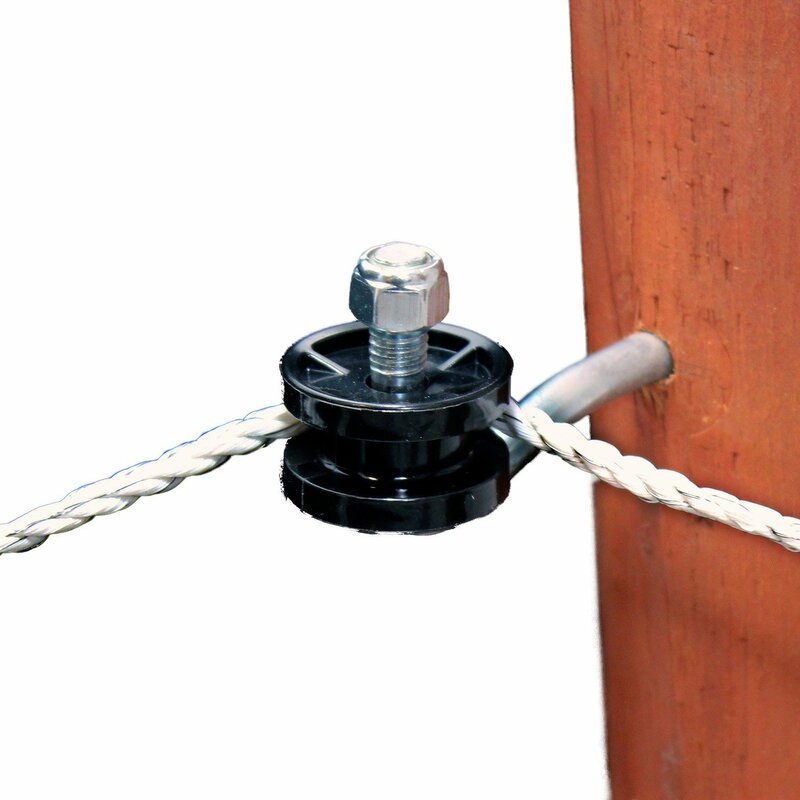 A high-strength corner and end post insulator for Hot Rope, braid, smooth wire, coated wire, and polywire. Designed for use on wood posts only with a heavy-duty, rust-resistant lag and UV-resistant polyethylene insulator. For splicing rolls of electric rope. 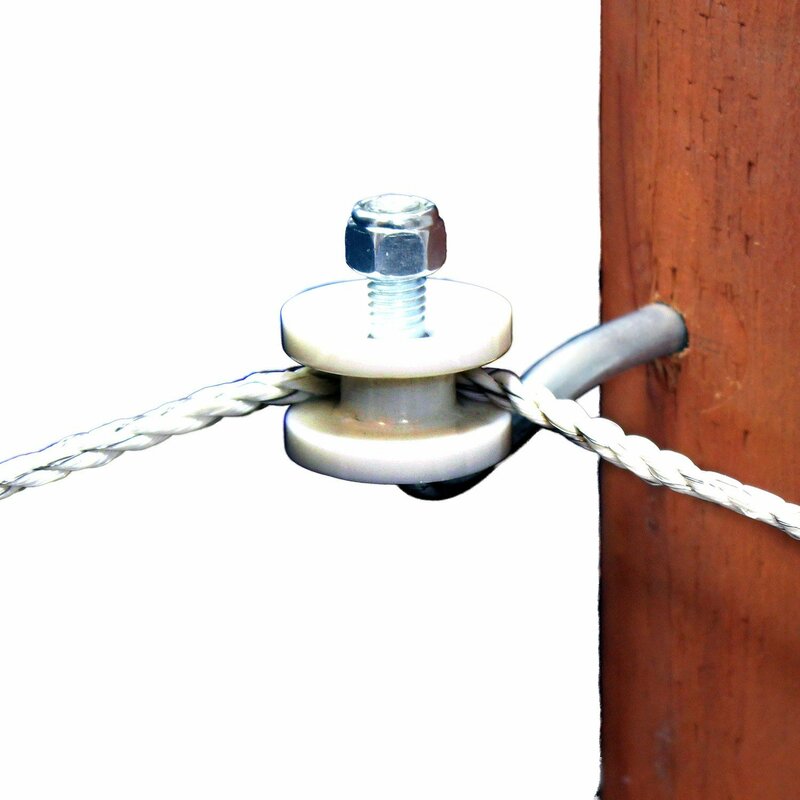 Connects fence energizer to ¼” electric rope or braid.